UPDATE: The Senate budget bill now includes the same expansion to Indiana’s voucher program that the House approved last month. The Senate added the voucher provision as an amendment late Monday. It approved the budget today. Differences between the two versions will be worked out in a House-Senate conference committee. The Indiana Senate took some modest steps in the right direction with the state budget that it approved last week. For education, it improves on the House-approved version on several counts. The Senate budget bill allocates more money for K-12 schools: an increase of 2.7% in the first year of the biennium and 2.2% in the second year versus 2.2% each year for the House version. It keeps more of the funding with public schools and brick-and-mortar charter schools, spending less on virtual charter schools. It provides a little more money for “complexity,” the factor in the funding formula that gives more money to schools serving disadvantaged students. Indiana’s highest-poverty school districts spend only 65 percent of what’s needed for their students to achieve modest academic success, according to a new education finance report from the Rutgers Graduate School of Education and the Albert Shanker Institute. Is it because we can’t afford to do better? Not at all. Indiana is near the bottom of the states when it comes to funding “effort,” the percentage of gross state product spent on schools. It’s more compelling evidence that state legislators should be thinking a lot bigger as they decide how much of the two-year state budget to spend on K-12 education. Indiana Republicans act as if they decided to draft House Bill 1005 after Jennifer McCormick announced she wouldn’t seek re-election. But there’s plenty to suggest McCormick would have been pushed out even if she hadn’t agreed to step aside. Unfortunately, evidence about who lobbied for the change, and why, is likely to remain secret. Under HB 1005, Indiana’s governor will appoint the chief state school officer starting in 2021. The bill was approved by largely party-line votes – 70-29 in the House and 29-19 in the Senate. It just needs Gov. Eric Holcomb’s signature to become law, and that should come any day. A 2015-16 audit report for Indiana Virtual School was released last week, and it shows the school continued to pay millions of dollars to for-profit companies run by the school’s founder and his son. Chalkbeat Indiana laid out the details of this arrangements in an investigation published in October 2017. The online charter school, while organized as a nonprofit entity, paid management, administrative and technology fees to AlphaCom Inc., a business run by school founder Thomas Stoughton. It also paid A Simple Reminder, a business run by Stoughton’s son, for IT and marketing services. Thomas Stoughton, the AlphaCom head, also served as chairman of the Indiana Virtual School board. $1,255,000 by A Simple Reminder. Public schools lost a true champion with the death this week of Phyllis Bush, a retired Fort Wayne teacher and tireless activist who inspired us all with her with her truth-telling and optimism. 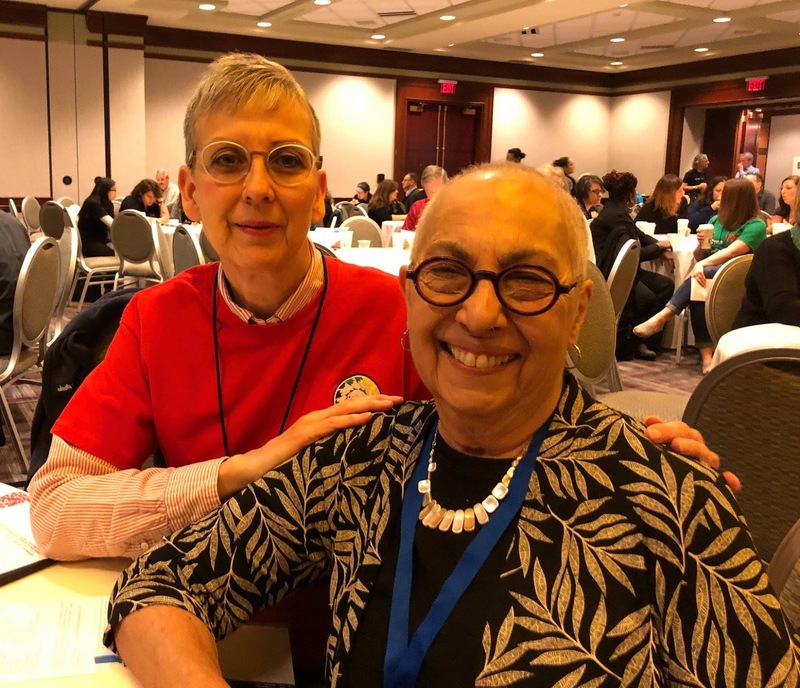 Phyllis Bush, right, and Donna Roof at the 2018 Network for Public Education conference. Her passion for public schools was in no way abstract or ideological. It came from experience and relationships. She taught school for 32 years, including 24 years at Fort Wayne South Side High School. And she radiated love and loyalty for her fellow teachers and former students. When she spoke out against school vouchers and charter schools, it was because she hated what they were doing to her beloved public schools and the 90 percent of students who attend them.